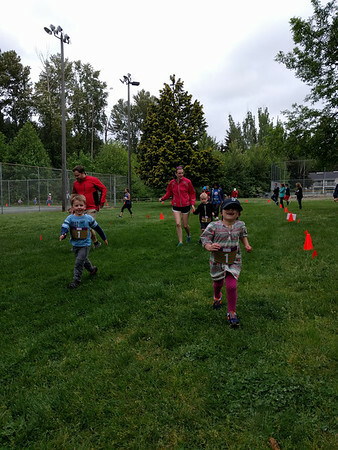 I It was a day of races this Mother’s Day. 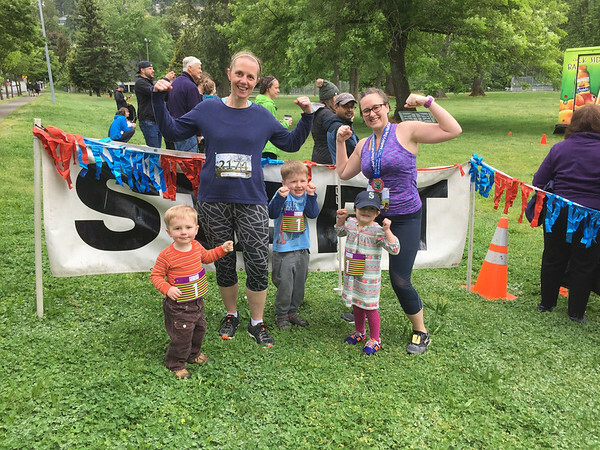 I completed my first 5k, our friend Amanda ran a half marathon and the kids all ran their first kids race too. I did it! 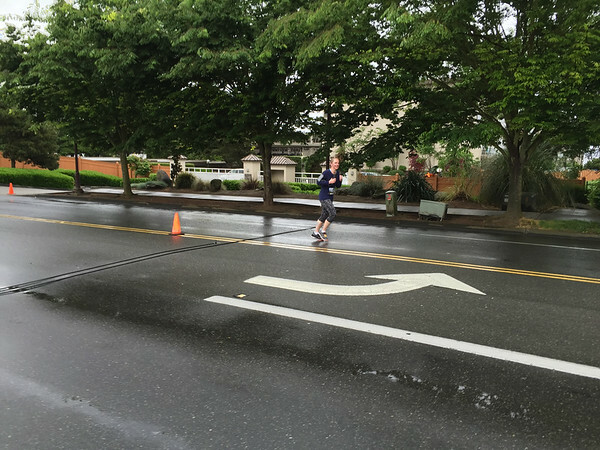 I completed the couch to 5k running program and finished my first race ever. 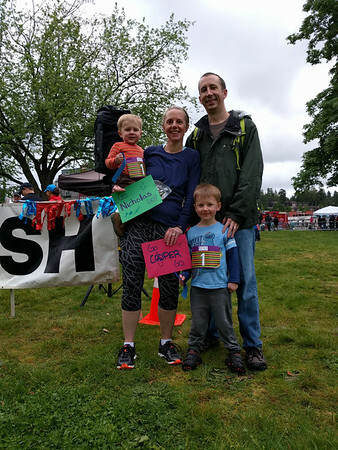 The Mother’s Day 5k in Kirkland. It was such a great experience to stay committed to running every other day for 8 weeks (missed one day due to food poisoning) and much of it was done pushing the double stroller through my neighborhood streets. 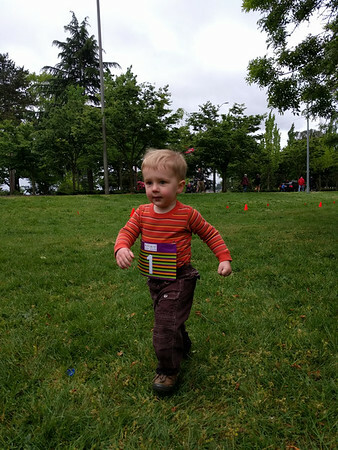 The boys loved getting cars to wave back at them during our jogs and I loved the challenge of keeping them both entertained enough to be okay to be in a stroller 30 minutes every other day. It definitely help keep my mind off the running part. A happy, proud, wet and cold family at the end of the event. While training for the 5k I decided to try out the 21 day Beachbody challenge too. 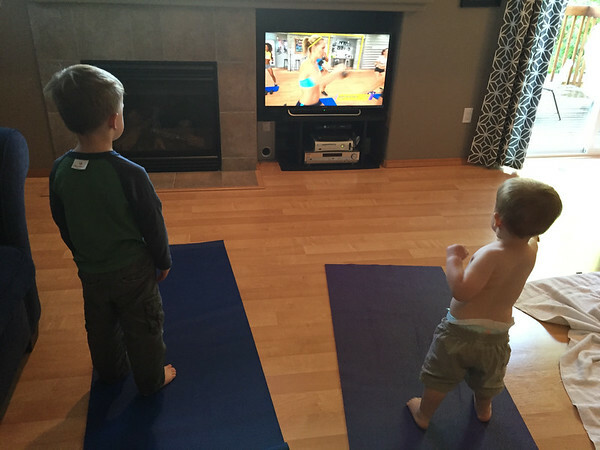 I typically did the workouts during nap time, but if the boys were up they loved to join in.